I admit, I’m not the best at making flattering bookcover pictures, but it’s my best try for now. It’s Wednesday and as you can see it’s rather dreary outside. So time for a quiet night in with a good book. 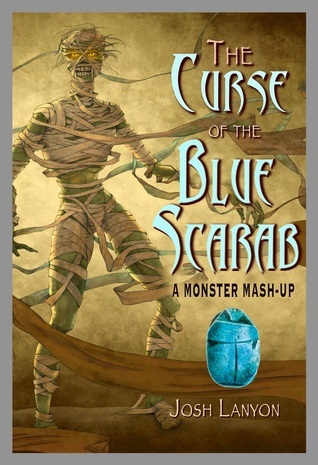 In this case, I just started reading The Curse of the Blue Scarab by Josh Lanyon, as you can see. I’m rather intrigued as to where this is going and by the main character Dotor Armiston.